Very friendly sweet bird. White and yellow lutino cockatiel orange cheeks. Beloved pet to a family of 5 we have had her for 10 yrs! 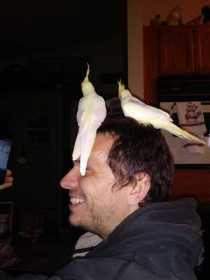 Chirpy is the greatest and her boyfriend Charlie misses her so much.